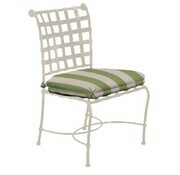 We have a great assortment of styles and materials. 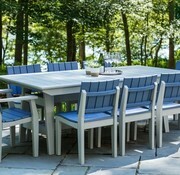 Custom dining tables are an absolute favorite of ours. The Flex dining armchair designed in resilient Suncloth straps hand woven in a cross-strap pattern which provides comfort, function and style in equal measure. 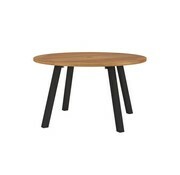 Evokes both the spirit and simplicity of mid-century design. 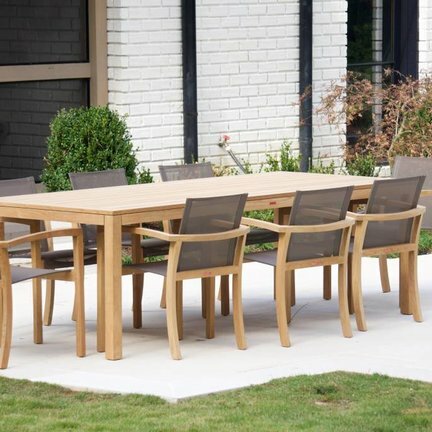 The Coral Dining Chair looks beautiful set around any of Jensen Leisure dining tables. 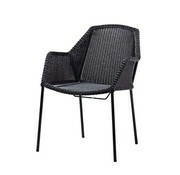 The chair is designed in all-weather wicker. 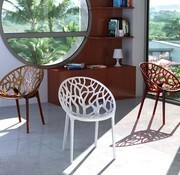 The weave is on a powder coated aluminum frame and the arms and base are made of FSC certified Ipe timber. Open shapes and breezy outlines are merged with comfort. 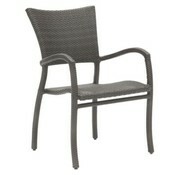 The wide backrests are ergonomically designed, hugging the body comfortably in a timeless design. 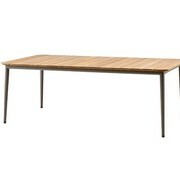 Elements 45 X 98 dining table. 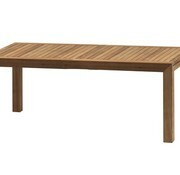 Long rectangular table that is perfect for larger social gatherings. Available with or without an umbrella hole for summertime shade. Durable, smooth, UV resistant cast-aluminum table base. 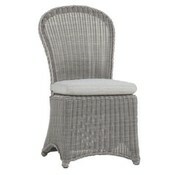 This stackable arm chair beautifully accessorizes wicker patio furniture sets. 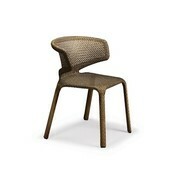 The entire surface of each chair features artistically woven wicker. 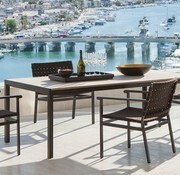 Featuring a contemporary woven design, Regent combines generous proportions and delicate curves. 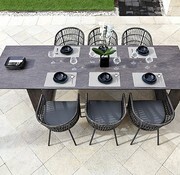 This collection is constructed using our patented N-dura Resin, intricately twisted across the back and arms of the frame creating a unique pattern. 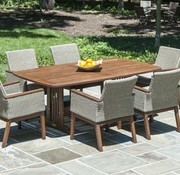 Indeed for many years the Royal Botania name has been associated with fine teak outdoor furniture. That is why the refinement that Royal Botania is known for is obviously found in the selection of carefully harvested mature teakwood IXIT collection. In designing Maya, the designers developed a formal shape yet suitable for different ambiances; contemporary, classic, informal or elegant, where it easly settles in. 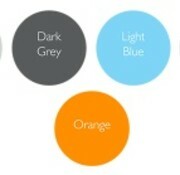 A color range including brights as well as neutral tones. For indoor and outdoor use. The stackable chair is designed to be used where space is a limited resource. 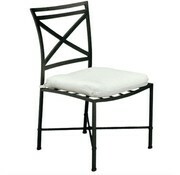 Despite its ability to stack, the look of the classic Breeze dining chair is kept. Underneath the chair is a brace intended to control the stacking of numerous chairs. The simple design goes anywhere and is easy to move around. The Copenhagen line is "all weather" in weather-resistant, powder-coated aluminium, making it suitable for both indoor and outdoor use. 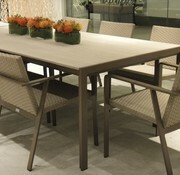 The MAD dining chair design complements the MAD tables as well as any table from our collection. 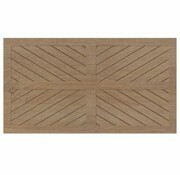 Now with FUSION mix or match frame and slat colors for an almost endless array of design possibilities. 10 frame color options and 15 slat color options. 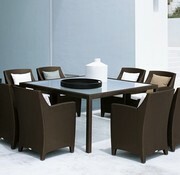 DISCUS is a collection of round tables available in 15 different combinations. Legs are available in stainless steel, coated aluminum or teak. 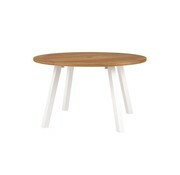 Tabletops can be teak or glass. 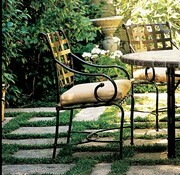 Whatever shape of patio or terrace, a circular table is always a perfect fit. The x-back and cross-stretcher on the Venetian chair are elegantly scaled by rectangular lines, including a subtly contoured back. Spiral details on the arms and architectural details on the legs are proportionately placed to enhance the overall balance. Lends an air of old world elegance to contemporary settings. Slightly flared back with intricate cast finials topping each corner. Features a cross patterned back and two overlapping crescents on the underside. The Crystal stacking armchair for indoor and outdoor use is produced in clear polycarbonate moulded with gas technology of the second generation. Scratch resistant, UV resistant and available in a variety of colors. 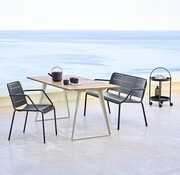 The Air XL Chair, with its modern design, is suitable for any year round outdoor use. 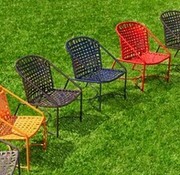 It is stackable and with a variety of colors it will suit any patio, garden or hospitality outdoor dining space. BARCELONA captures the delicate balance of tradition and modernity that has long characterized its namesake. The collection‚s generous proportions and subtle weave suggest a graciousness and attention to detail worthy of the Catalan capital itself.